← Expat Travel – How far have you flown? North Africa and the Middle East have been shaken by what could be described as a youthquake this year. What is driving it? Will it end soon? Should you accept an expatriate job in this region? As an expatriate how has this affected you? What should you do if you land up in a situation like Libya? A combination of factors has fueled the protests. Approximately 60% of the region’s population is under the age of 30. A high proportion of graduates are unemployable as they do not have the qualifications and experience employers require. Many of these young people have not seen a change in government since they were born. The impact of the worldwide recession and rising food prices has exacerbated the situation. Aspirations are not being filled, pockets are feeling the pinch and desperation is setting in. These factors are not new. History is full of revolutions driven by a lack of what my history teacher used to call “Yummies in tummies”. What makes it different now is that this young population is connected through technology – global television, mobile phones, the internet and social networks such as Facebook and Twitter. The days of state controlled media are well and truly over. Technology has exposed the youth to other cultures, global politics, religions, and to concepts such as freedom, democracy, and civil rights. The recent uprisings have been organized via social networks in which everyone is connected but no one stands out as the leader. How does a regime win a faceless leaderless revolt? This new form of connectedness, allows the world to see what is happening from the ground. The News Channels, reporters and news readers also rely heavily on the man on the ground, these ordinary people have become the worlds’ eyes. From reports of Gaddafi killing innocent people to the Mubarak supporters and anti-government supporters in Tahrir Square stoning and beating each other. It is difficult to say. Each country is different, each with its own set of challenges. It is possible that the protests may lose energy and in time the status quo reconstituted. However, unless the factors driving the change are addressed it is likely the protests will continue, but either way change is imminent. Should you accept an expatriate job in this region? My advice is that you do your homework before accepting an offer. Know what you are entering into. 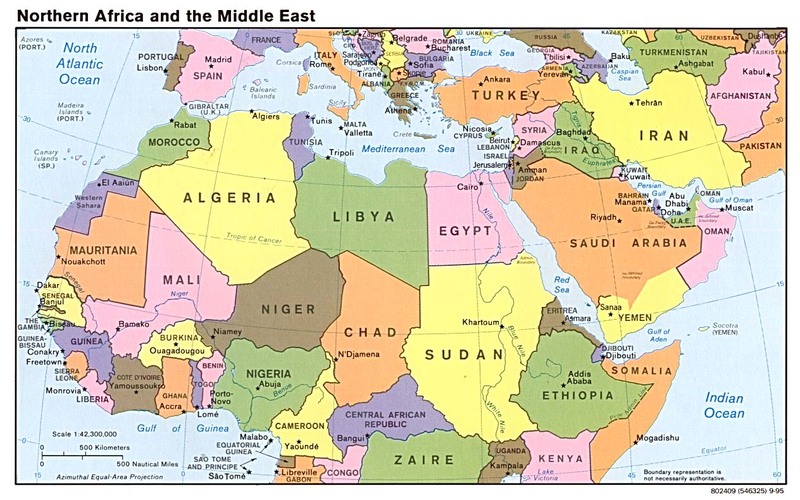 Don’t make the mistake of assuming that the whole of North Africa and the Middle East are in flames. I have spoken to many expatriates in the region who have not been affected. Obviously if you are considering an offer in Egypt, Libya, or Tunisia you should be cautious and perhaps wait or look at alternatives, these are definite hardship locations at the moment and for anyone to be considering moving to these regions, you should be looking at substantial compensation and benefits. These countries have seen mass evacuations of expatriates and civil war now looks probable in Libya. In the Gulf States the drivers for a youthquake have been largely neutralized by shared oil and gas wealth, a focus on education, and work related skills development for citizens, ensuring lower rates of unemployment amongst the youth. In Bahrain the issues are largely about political representation. In the Gulf life has continued as it did in the past for expatriates. Expatriate life has not been affected by the turmoil in the region and, in my view, is unlikely to be affected in the foreseeable future. Expatriates are still accepting job offers and generally people are not leaving due to turmoil in the region, staff turnover overall is extremely low. This entry was posted in Uncategorized and tagged Bahrain, Egypt, expat, expatriate, Gulf, Libya, middle east, North Africa, Tunisia. Bookmark the permalink.